Cotton, tea, and rice are only a few of the commodities that have made China the world’s largest exporter of goods. When importing from China, shipping by air is, without doubt, the best way for moving your goods quickly. However, there are a few things to keep in mind to ensure the safe transportation and timely arrival of your goods. 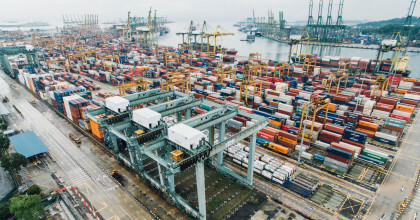 Here are seven tips to assist in importing your goods as smoothly as possible. 1. What is peak season and how may it affect my shipment? Peak season in air freight happens when the e-commerce kicks in and businesses prepare for the holiday season such as Christmas, Golden Week, Chinese New Year and so on. It may also occur as a consequence of the situation in sea freight. As the flights get fully booked, shipping rates go up because of limited capacity and transit times increase. To avoid unnecessary costs and delays, make sure to plan for your shipment. To optimise your goods flow, book your shipments a few weeks in advance if possible. As warehouses will be very congested during this period, loading and unloading will take longer time. Prepare for extra fees as the shipping rates will be up. If your shipment also includes road freight, prepare for extra trucking wait fees. Sometimes choosing a transport service with slightly longer transit time will pay off as the fastest transit time-services may be overbooked. (If you pay enough money, however, you will get space). Make sure to plan for your shipment and provide a prognosis of your goods volumes to your freight forwarder. In general, e-commerce is rapidly increasing and continues to be a leading driver of growth in global air freight traffic. 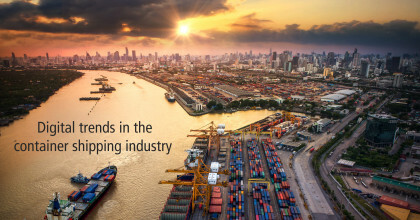 To pave the way for an optimal goods flow in the future, make sure to keep a close dialogue with your freight forwarder. 2. What is magnetic inspection and how may it affect my shipment? Magnetic items are classified as dangerous goods and restricted for air freight exports in China. 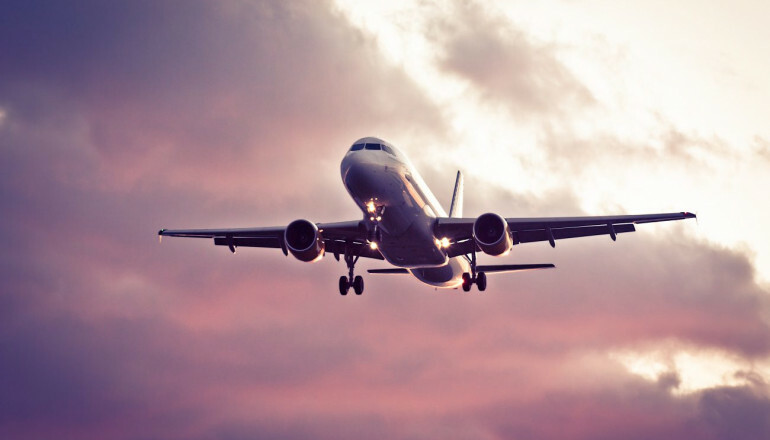 As magnetic fields may cause interference with the control signals of aircrafts’ navigation systems, magnetic inspections are carried out prior to loading export goods. If you are shipping magnetic goods such as magnets, ferrite cores, nickel or cobalt, a magnetic inspection is required. But also audio equipment such as speakers, microphones, and other equipment such as hairdryers, mobile phones, and computers as well as magnetic packaging material may require magnetic inspections. Your shipment may be affected in terms of both cost and time as dangerous goods fees apply to each package shipped by air and there is also the extra time for carrying out the inspections. Make sure to be well prepared by contacting your freight forwarder for information and guidelines about shipments of magnetic or dangerous goods. You can also prepare an MSDS (Material Safety Data Sheet) to provide information and guidance in the handling of your goods. 3. Should I ship my goods as parcels or pallets? Parcels or pallets – that is the question. There are both pros and cons to each option and it is, of course, dependent on the type of goods you are shipping. It is the consigner’s responsibility to make sure the goods are packed ready for carriage and will withstand the strains of transportation. Package damage is a problem as some suppliers tend to overload their packages, especially garments. When boxes are overfilled and heavier packages are placed on top in the aircraft, the goods may be damaged. Also, as large goods volumes are transported by air from China, the risk of loss is higher for parcels due to size. You may ask your freight forwarder to place your parcels on a pallet to minimize the risk of damage. When shipping your goods as parcels, the cardboard material may be quite soft, increasing the risk of cargo damage. Air freight is often used for high-value shipments and safety is therefore very important. Shipping your goods as pallets means that they are better protected. It is also easier to transport multiple goods at a time. On the other hand, during peak season, it may be easier to get space on the flights when sending parcels instead of pallets. Using pallets may increase freight costs as some weight and volume are added to the cargo. If you ship your goods as parcels, some warehouses charge additional fees for receiving the loose cartons. However, with the quicker transit times of air freight, you often have less need for local warehousing and keeping items in stock. What it comes down to, really, is the type of goods you are shipping, the number, the weight, and the need for packaging and warehousing. 4. Consolidated shipments or direct deliveries – when to choose what? Consolidated shipments are beneficial if your goods have multiple pickup points in a specific region in China. Your freight forwarder collects your individual consignments on the same day and combines them in a single truck. Your goods are then shipped on a regular basis and delivered to the end user on a fixed date. Consolidated shipments allow you to set the rules for delivery times, optimise your goods flow, and simplify warehousing. Your freight forwarder may also offer cargo inspections as a value-added service or other services related to storage and distribution. Direct deliveries are beneficial if your shipments are urgent or not very frequent. With direct deliveries, the shipments will be sent out on the first available flight as they get ready. This provides shorter transit times and can make differences in supply chain savings, but may require additional planning and get higher freight charges. 5. What should I know about inland haulage in China? There is a high pressure on the transport infrastructure in China, especially in the larger cities where road congestion is common and the difference between peak and off-peak hours is minimal. To avoid unnecessary costs and delays, be proactive and stick to the cut-off date to make sure your goods are checked in in time to meet the scheduled air transport. Also, use a freight forwarder that offers warehouses close to the airport and can transfer your goods when it is time to get them moving. 6. What should I know about export licences and customs procedures? It is the shipper’s responsibility to have an export licence ready for shipping goods out of China, or the goods will not be cleared through Chinese customs. If the shipper does not have an export licence and you export the goods on EXW (Ex Works) terms, you will be charged for the export license. If you use the Customs Clearance Handbook, you may need to prepare for higher transfer costs depending on provincial authorities or trading terms. For example, if you issue custom clearance in Suzhou and then transfer the shipment to Shanghai Pudong International Airport, transportation with T1 transit document is required. 7. What is the deviation of the delivery terms FOB and EXW? FOB (Free On Board) indicates who is responsible for paying transportation charges. It is the location where the ownership of the goods transfers from seller to buyer. This is good in general when importing from China as local costs are often low. EXW (Ex Works) represents the seller’s minimum obligation and the buyer’s responsibility for carrying out all tasks for export and import clearance as well as the arrangement of carriage and insurance. This gives the buyer more control. However, the buyer is still obliged to pay for export charges, as stated above. 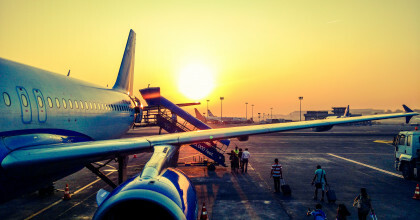 I hope this blog post gave you some useful tips and information on how to import your goods from China by air as smoothly as possible! Greencarrier Freight Services has extensive knowledge of air freight and vast experience in the Chinese market. From our seven offices in China, we provide customers with a wide range of air freight solutions and supply chain management services. Would you like to know more? Please, visit our website!